As we can all assume, screen time is becoming a more common phenomenon with each passing day. Your kids use them at school and to play games at home. You and other parents use them to check your emails and make plans with friends and family. Teens use them for social media and for their schoolwork – everyone in 2019 has a use for a device. They are simply becoming more and more essential as the technological era develops further. While its convenience is undeniable, a lot of people tend to forget the negative side-effects it can have on us – especially on our younger children who are growing up with this technology. With people aged 15-17 years old being the highest age group of internet users at 98%, so it’s no surprise there’s all sorts of concern regarding over-use of screens for young people. The effects of screen-time can be so detrimental that in Australia it is recommended children aged 2-5 only have one hour of screen time, with children aged 6-18 only having two hours. Video games are one of the most common factors towards excessive screen time. You might be wondering – what exactly is screen time? Essentially, it is a term used to categorise the amount of time spent looking at a screen for entertainment. Screens can include televisions, computers, phones, tablets and video-game consoles. Pretty straight forward, isn’t it? Despite this, it can be difficult to constantly maintain your child’s screen time and ensure it doesn’t become excessive. And what are the side effects of excessive screen time, you ask? Here’s a look at a few of the consequences screen time can have on a youth’s brain and physical development. This is something we can all relate to. Have you ever taken a yawn while watching a show or movie before bed, texted a friend or checked social media, and then gone to bed only to find that you’re suddenly energetic and unable to sleep? It happens to more people than you’d think. The phenomenon itself is triggered by using a screen with high brightness which signals the brain. This in turn suppresses the hormone melatonin – what tells your body it is night time, making you sleepy. If the brain is overly exposed to brightness, in the form of a screen before bedtime, this can kick back your child’s body clock, making the brain feel active again and less tired. On a continuous cycle, this can severely affect the performance of melatonin. This applies to both you and your child! This can easily affect adults, but obviously has a higher impact towards children’s mental health as their brains are still developing. What to do? Avoid the habit of screen-based insomnia by avoiding electronic devices before bedtime. If you must use a screen, use it on its lowest brightness setting. Too much screen time can also affect and gradually desensitise the brain’s natural reward system. For example, take the millions of children (and adults) addicted to the ever popular Fortnite. 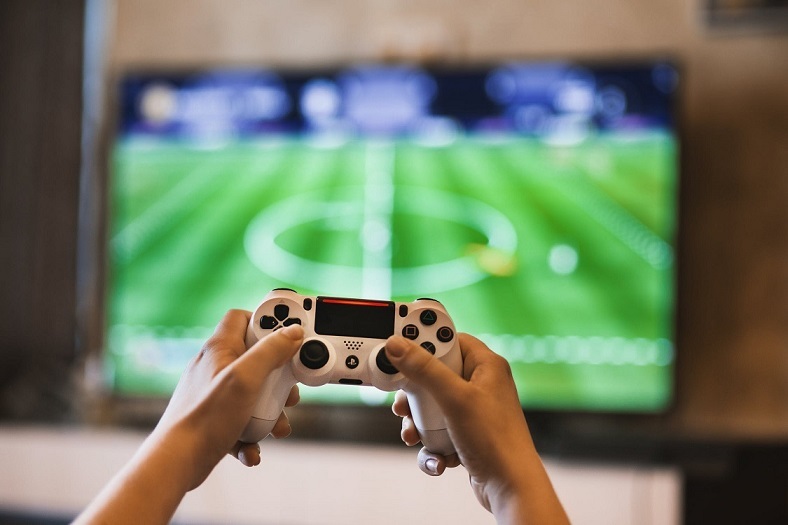 Succeeding in video games like this and other video games provides an easy release of a chemical called dopamine – the chemical responsible for making you feel pleasure. It occurs in almost all video games and on social media platforms. Excessive repeats of these neural pathways eventually lead to a gradual resistance to dopamine, meaning more stimulation is required to release a satiating amount of the chemical. This can affect a bunch of your brain’s functions, including attention span, emotional control and decision making. This obviously makes video-game addiction a whole lot more understandable from a psychological level. High dopamine requirements can often lead to lack of emotion, reasoning and empathy, especially in developing kids. It is important to ensure your kids’ dopamine levels aren’t desensitising. Make sure your kids take a break after an hour of gaming – it might help out in the long run. As well as mental health, screen time can have significant effects on an individual’s physical development. According to the Australian Government Department of Health, children who happen to spend a majority of their time on a screen are more likely to be overweight than those who don’t. The research explains children who spend less time in front of their screens are therefore more likely to participate in physical activity and active games, unlike those glued to their screens. By choosing to pursue virtual hobbies over physical ones, this can very well lead to weight gain and potential obesity. This is obviously a matter of balance, however. 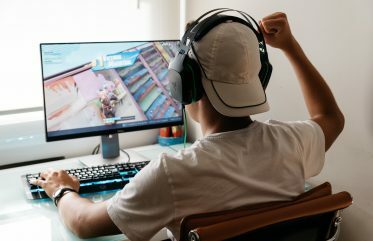 If you find your kids are spending a majority of their time playing video games rather than active games, it might be best to ensure they take a break from the virtual world every once in a while. Bet you didn’t know this was a real thing. Text neck, according to the Australian Chiropractor’s Association, refers to the neck pain and damage taken from looking down at a screen, usually a phone, tablet, or video game console, for too long. It is usually characterised by upper back pain, shoulder pain and tightness, and in worse cases, can even spread down to your hand… And of course, the obvious symptom is the gradual change in natural posture where the neck looks like it is always bending forward – not something a developing child should want. Obviously ‘text neck’ doesn’t just come from using a screen – it has existed throughout history, produced through excess activities such as physically writing or reading. However, the Chiropractor’s Association explains that screens are something people use for far longer and much more frequently. This means ‘text neck’ is something that is slowly becoming more common. It is suggested for kids and adults to hold devices at eye level when possible and take breaks from the screen. Once again, balance is key for proper development. It’s important to set rules for screen time so the above circumstances don’t occur. If you’re able to balance your child’s screen time with non-electronic entertainment, they will already have a much lower chance of developing these symptoms! Screen-time is allocated to certain parts of the day – This is an obvious one, and is very easy to implement. Choose a time period each day for your children to watch TV, play their games and stream their movies. The trick is to limit it to one or two hours – the recommended dosage for most children. Setting a timer on the iPad or device used can be a great way to help achieve this. No devices during meal times – A good way to keep up your child’s communication skills is to keep off the television during meal times. Having your kid’s eyes glued to the screen is never a good thing, especially when having dinner with the family. Instead, talk to them about their day or their interests. 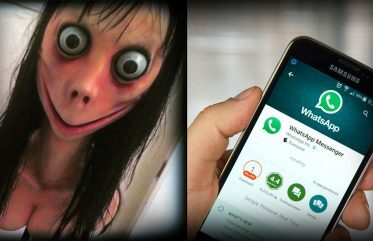 Put away the phone – it can certainly wait. 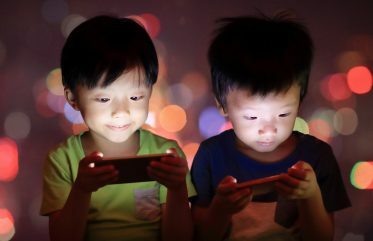 No screens before bed – As explained above, using screens before bed (and especially at a high brightness) can certainly impact your child’s development and body clock. In order to counteract this, stopping screen time an hour before bed-time is the way to go. No video-games during the week – Are your kids addicted to a particular game? Want them to stop playing for a little bit? Banning video-games during the week can be a good way to get their mind off the PlayStation and onto the environment around them. It can also help reduce their screen time drastically. Be the role model your child needs – While it can definitely be difficult as an adult, it’s important to do your best as a parent to follow the rules you set up. Children really do take after their parents, and if your children see you breaking the rules consistently, what’s going to keep them from breaking them? Guiding your children along the right pathway is the best way to set up proper screen time habits. It’s always important to open the conversation with your children as well. Explain why too much screen time can be a bad thing, and you find them more willing to cooperate with the new rules. As usual, we hope you’ve learned something valuable from us today! If you find you’d like peace of mind regarding your child’s screen-time usage, you can check out Yomojo FamilyEye, our parental control app where you can monitor your child’s phone and tablet usage to ensure they are using safe websites, apps or games. If curious, feel free to contact us about it – we’d love to hear from you!